As Twitter becomes an increasingly important part of politics, political analysis, and blogging, we thought we would take just a moment to update you on Twitter and The Monkey Cage. The Monkey Cage has its own twitter account: @monkeycageblog. If you follow this account (and many of you already do), you will get an automated tweet for every Monkey Cage post. John manages this twitter feed, so you will also get any additional information that John decides to tweet or retweet. Time Magazine has named The Monkey Cage to its list of top blogs. You can find the write-up here. Dan Drezner is also lauded. Many thanks to the folks at Time, and to everyone one who reads us, links to us, and tweets about us! A while back, The Monkey Cage migrated from MovableType to WordPress under the knowledgeable guidance of Cord Blomquist of Readymadeweb. He has now automated that process and offers it as an inexpensive service via TP2WP.com. If this is of interest to you, check it out. With all the forecasts of the presidential election—e.g., here, here, here, and here—we wanted to add a little value here at The Monkey Cage by focusing on congressional elections. We’ll begin with a forecast of the seat breakdown in the House and then explore such corollaries as the effect of low congressional approval and the recent redistricting. Spearheading this is political scientist Eric McGhee of the Public Policy Institute of California, with a little assistance from Benjamin Highton of UC-Davis and me. Eric was also integral to our post-election blogging in 2010—much of which is summarized in the post-mortem we wrote with Brendan Nyhan—and he’ll have the byline on this year’s posts. We’re grateful to both Ben and Eric for their help. We welcome as a new occasional contributor Eric Patashnik, Professor of Public Policy and Politics at the University of Virginia. Eric’s research focuses on public policy, especially health care and social welfare. His books include Reforms at Risk: What Happens After Major Policy Changes Are Enacted. With Alan Gerber, he is currently finishing a book tentatively entitled Unhealthy Politics: Professional Authority, Partisan Polarization, and the Battle Over Evidence-Based Medicine. His guest posts for us are here, here, here, here, and here. We’re glad to have him aboard! 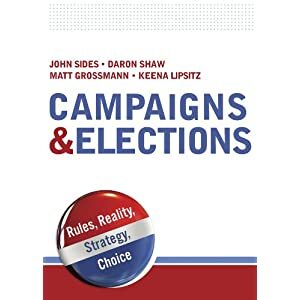 Some exciting news regarding our Election Reports series: we have now officially entered into a partnership with the journal Electoral Studies. The agreement covers two areas. First, authors who write “Notes on Recent Elections” for the journal will also be encouraged to write Election Reports for The Monkey Cage, which should bring us additional content here. Second, Electoral Studies will provide links back to these reports from their website, which should bring more readers for anyone who writes Election Reports for The Monkey Cage. To be clear, none of this changes the fact that we will still post election reports through the normal mechanism, namely simply contacting me and telling me you would like to write a report. We can have more than one report per election, and by no means are the new authors coming our way via Electoral Studies likely to cover all of the election in which we are interested. Thus I continue to need volunteers to write these reports. As I laid out in the first post announcing these reports, the idea here is to get real-time analysis (within the first day or two of an election) from a political scientist who is following that election closely because of his or her research. But we do need volunteers to do this, and currently I do not have anyone lined up for elections in the next few months. So here’s a list of upcoming elections. Please email me at joshua dot tucker at nyu dot edu if you are interested in writing guest posts about any of these elections. We are also happy to have pre-election reports as well. This week we welcome guest-blogger Martin Gilens of Princeton. He is the author of the recently published Affluence & Influence: Economic Inequality and Political Power in America, which Larry has already noted and which has been getting some media attention. See also Gilens’s essay in The Boston Review, as well as the responses, and an earlier article in Public Opinion Quarterly. We’re glad to have him aboard! We welcome guest-blogger Brendan Doherty to The Monkey Cage this week. 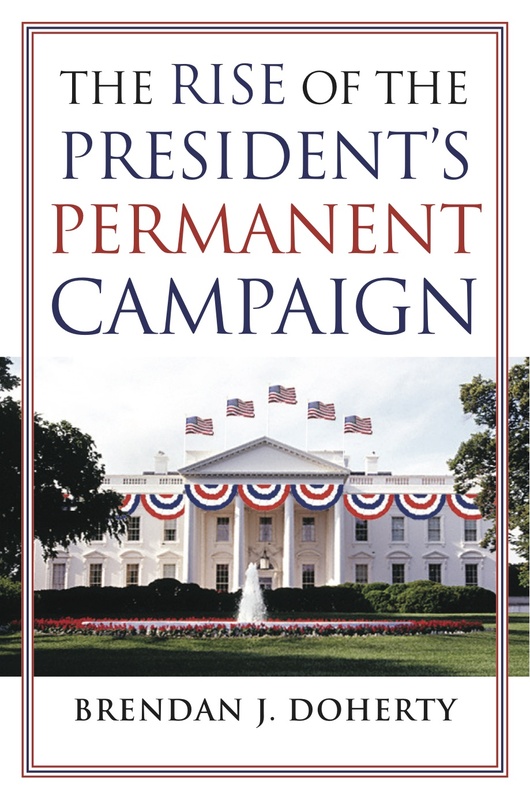 Brendan is a political scientist at the Naval Academy and the author of the newly published book, The Rise of President’s Permanent Campaign, which is a new and important study of presidential campaign fundraising. The book is already getting attention—e.g., here and here. Brendan will be blogging about some of his findings. We look forward to it! As you may know, The American Prospect is in somewhat dire financial straits and is doing some emergency fundraising. As I mentioned previously, they also syndicate content from The Monkey Cage (with no financial benefit for us). So I thought it appropriate to highlight their situation, since the Prospect’s demise would, among other things, reduce the number of people who see our content, and thereby perhaps reduce the penetration of the political science research that we highlight into non-academic circles. Obviously, the liberal politics of the Prospect are not those of this blog, which strives to be non-partisan, nor are they the politics of every reader of this blog. I also want to emphasize that we are ecumenical about syndication. If the National Review wanted to syndicate our content, I’d be happy for them to do it. And if the National Review then had similar financial woes, I’d write as post like this one. With those caveats stated, if you feel moved to support the Prospect for whatever reason, that will help The Monkey Cage continue to reach a broader audience. We’re pleased to have Matt Grossmann guest-blogging with us this week. Matt is a political scientist at Michigan State, a co-author of mine, and the author of a new book, The Not-So-Special Interests: Interest Groups, Public Representation, and American Governance. He’s been a useful source of notions for blog posts in the past (e.g., here). We’re glad to have him aboard.